British welterweight boxer Amir Khan has spent the better part of two years chasing a high profile fight with reigning pound-for-pound kingpin Floyd Mayweather, but recent comments now make me wonder if he’s given up on that fight. 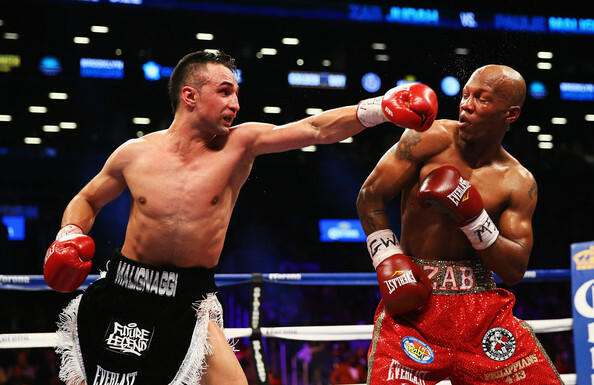 Khan was slated to face Devon Alexander in a welterweight world title bout in December 2013. In the months preceding the proposed fight with Alexander, Khan’s name was mentioned as a possible opponent for Mayweather. 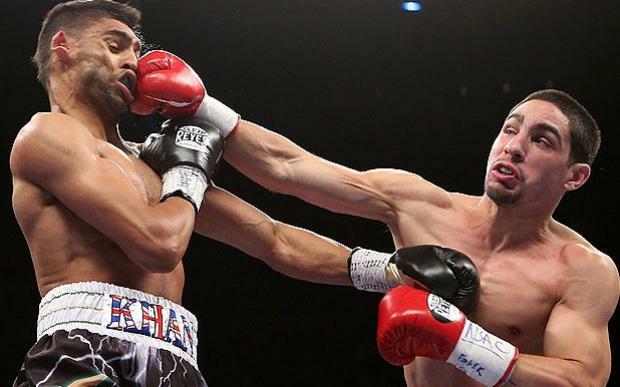 Khan decided to abandon negotiations for the bout with Alexander, who subsequently lost to Shawn Porter, in favor of chasing the dream of fighting Mayweather. Mayweather posted polls for the public to vote between Khan and Marcos Maidana, who in spite of having a prior loss to Khan had come to prominence again with a rousing victory over Mayweather wannabe Adrian Broner. Khan came out ahead in the poll, but ultimately lost out on the bout with Mayweather. Khan went on to dominate the dangerous Louis Collazo, rearranged the bout with Alexander and won a landslide decision, and most recently recorded a points victory against the last fighter Manny Pacquiao faced before landing the Mayweather bout he craved in Chris Algieri. 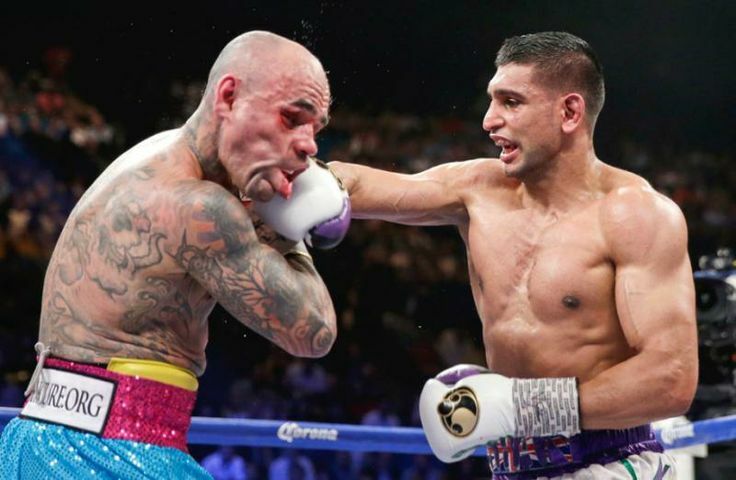 Pundits and fans raved about Khans displays against Collazo and Alexander and once again Khan entered discussions as a potential opponent for Mayweather. Again that fight failed to materialize, but Khans vocal proclamations that he is the only man out there who could beat Mayweather persisted. Even as recently as little over a week ago, in fact in the immediate aftermath of his victory over Algieri, Khan called out Mayweather. Declaring in his post fight interview that he was the number one contender for one of Mayweathers titles, Khan said he wanted to face the undefeated champion in what could ultimately prove to be Mayweathers final outing. Yet now that all seems to have changed. Khans is now speaking of taking over as the top ranked pound-for-pound fighter after Mayweather retires. He’s discussed facing the likes of Manny Pacquiao, Juan Manuel Marques, Timothy Bradley and Keith Thurman to cement his own legacy as the best fighter around. So why the change? 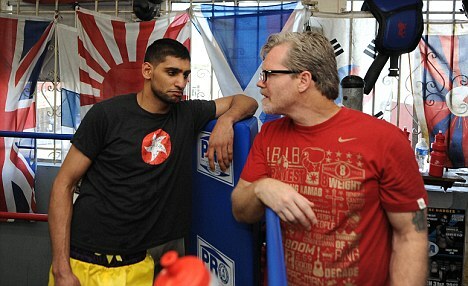 Maybe Khan has received word about who Mayweathers team is speaking to regarding his farewell fight and it’s not him. Maybe he watched a replay of the Algieri fight and saw that he still leaves too many openings for counters and realized that if he gave a fighter like Mayweather those kinds of opportunities he will be obliterated. Whatever the cause for the apparent change of heart it is good news for boxing fans. Whether you are a fan of Mayweather or not, it’s undeniable that he is simply so far ahead of his peers in in terms of his fighting ability as well as his ring IQ that he would most likely nullify every skill set Khan has and make him look foolish while cruising to an easy victory. If Khan really has decided to drop the idea of facing Mayweather and goes out searching for fights with the top guys around we will all be in for some fireworks. Khan is an incredibly talented fighter, chinny or not, whose speed and movement will be a handful for most of the guys at the top of the division. Bradley would turn a fight with Khan into a toe to toe war. Pacquiao and Thurman would go hunting to test Kahns chin. Marques would try to force Khan into over committing so he could counter. All fights would be action packed and all would be tough to predict. I, for one, hope Khan has decided to seek out the fights he speaks of in favor of his endless campaigning for Mayweather. Khan is a throwback to an older time of boxing in that he’s a guy who wants to take on the best around whatever the risks and I cannot fault that mentality. The media is an incredible tool for professional athletes, if they know how to use it to their advantage. Combat sports, such as boxing and mixed martial arts, are one such sport in which the media is very important. Those who use it, and use it well, can increase their marketability immensely. In a sport in which you don’t have a team to fall back on you would be wise to figure out how to use the media to your advantage. 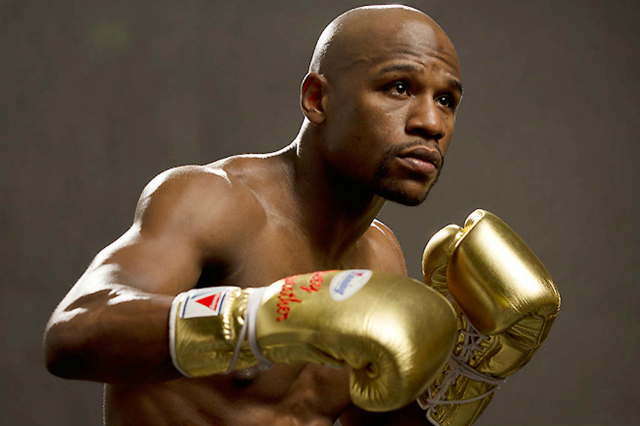 In today’s sport there are few better at using the media for their own gains than reigning pound-for-pound boxing king Floyd Mayweather Jr. Mayweather highlighted his savvy use of the media and the constant rumours in boxing during this interview with Chris Robinson. After hype and public clamor for a bout between Mayweather and Manny Pacquiao had reached fever pitch a few years ago, back-to-back losses by the Filipino fighter caused the calls to dissipate somewhat. 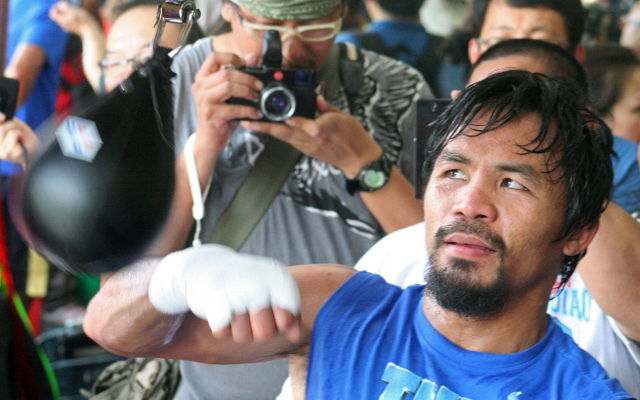 However, last month’s dominant display by Pacquiao over Brandon Rios reawakened those calls. In those few sentences, Mayweather expertly used the media and boxing rumour-mill to his advantage. Without giving away a single detail about his plans for his upcoming bout on May 3rd, Mayweather managed to get people talking. Using the two names the media are continuously throwing out there as a potential opponent – Khan and Pacquiao – Mayweather’s words got ears pricking up and taking notice. Since that interview hit the web I’ve seen headlines stating that Mayweather and Pacquiao will face off in May, using portions of the above quote to justify their claims. This is exactly what Mayweather aimed for and other fighters should take note. His words gave away nothing, but they ensured that there his name would appear in headlines across the internet. Even if the articles written never came near print that doesn’t matter. What counts is the fact that with today’s modern media comments like these are pounced upon, spread in seconds and put a fighters name on the tips of tongues. A fighter like Mayweather will always have to fend off rumours about who they are going to fight. He’s been at the top of the pile for so long that everyone young, up and coming, fighter wants to show he is the man to knock Mayweather off his perch while every veteran feels their wily skills and tricks would allow them to have a chance. Also don’t forget the power of having Mayweather’s name alone associated to you. If you are a young fighter and you are linked to a bout with Mayweather you are going to instantly garner more interest from more casual fans as they look to see why you’re linked with the man. Mayweather simply uses these rumours to make sure that nobody ever forgets about him. Simply using the two names that the majority of fight fans and press representatives are throwing out left, right and center allows Mayweather the opportunity to self promote with without showing his hand. Every Pacquiao and Khan follower undoubtedly pounced on those words and spread them around as quickly as they could. How many million people saw Mayweather’s name shortly after the interview went live? How many million people are instantly zoned in on May 3rd? Every aspiring athlete who wants to advance their career as quickly as possible needs to look at the way Mayweather has learned to effortlessly promote himself. Let me start off by saying I generally enjoy watching Amir Khan fight. He has speed of both hand and foot, he is aggressive and he loves to throw combination punches. 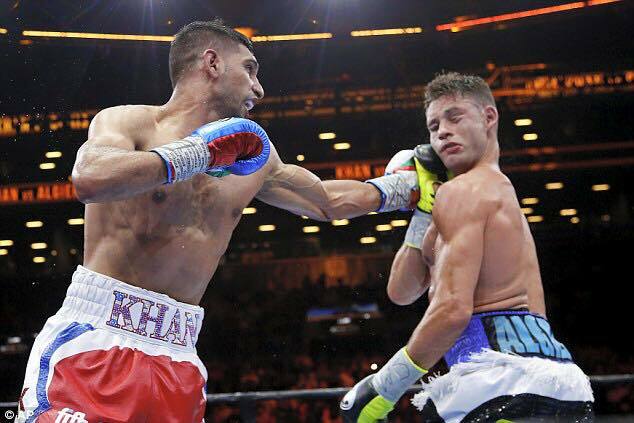 Khan is an exciting, dynamic fighter who rarely leaves fans wondering why they tuned in, win or lose. Adding to the enjoyment I get from watching Khan fight is the fact that it’s very rarely a one-sided affair. For all of Khan’s hand and foot speed, he is poor in so many defensive fundamentals that he is incredibly easy to hit, and hit clean. Often moving into rather than away from punches, popping his head up every time he throws a jab or dropping his hands before stepping back, whatever mistake he makes it usually ends with him being clocked and rocked. In spite of all this, in spite of the enjoyment that usually comes from watching Khan in yet another valiant battle of heart over head, I am not excited at the prospect of Khan taking on IBF Welterweight champion Devon Alexander in December. I truly don’t say this to knock either fighter. Anyone who steps in the ring deserves respect for the dedication they’ve shown to their training and preparation and the level of bravery it takes to stand one-on-one with another human being to fight. I say this because, as styles make fights, this is such a clash of styles that I feel there will be more threatening to engage than actually engaging. For the first time in many years fans, tuning in for the usual Amir Khan edge-of-the-seat drama may be disappointed. Fighters will always fight to their biggest strengths, as they should. 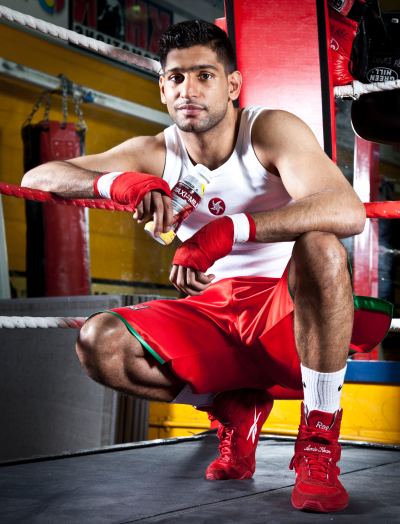 Amir Khan will look to use his incredible speed to edge him along to victory. 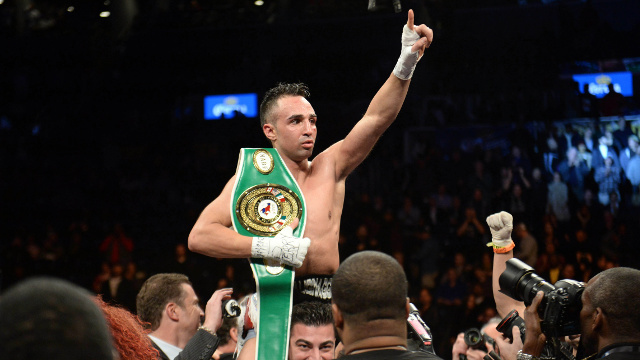 He is also one of the better-conditioned fighters in boxing and can push a frenetic pace for the whole fight while still looking like he has more to give. Khan will look to dart in with quick combinations and dash away before Alexander can fire anything back. Alexander, who is no slouch when it comes to hand speed and combination punching, is a far superior defensive boxer. His movement around the ring will create angles that nullify the in-and-out attacks of Khan as Alexander simply won’t be right in front of him. 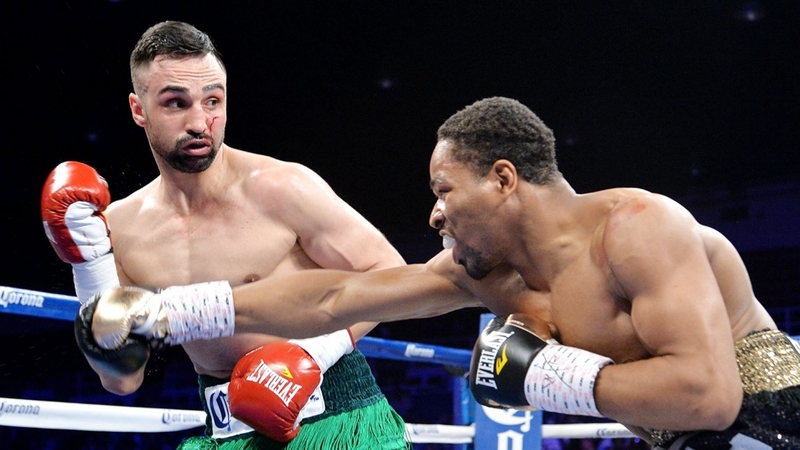 Alexander’s movement and defensive skill was on display against Randall Bailey, in which he was able to take away Bailey’s power using superior footwork and grind out a victory to capture the IBF crown. This is the manner I expect Alexander to approach the Khan fight in as he looks to frustrate his opponent into recklessness. This is where fans will scream for the Khan of old to show his face. In past fights Khan hasn’t been good at sticking to a plan. When all was going well against Marcos Maidana, Khan abandoned the strategy that had been working so well and let his bravado take over. He engaged Maidana in close and was rocked badly. 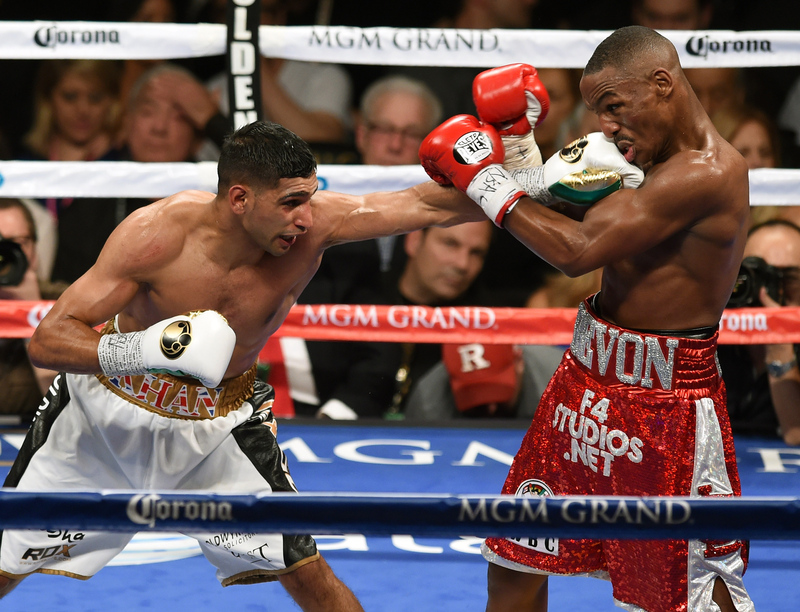 Who Will Win Between Amir Khan and Devon Alexander? Who cares? I’ll take a nap through that one! Alexander will be happy to move around the ring and land counters and small combinations to build up a points advantage. He will stick to his strategy and hope, with the fans, that Khan will revert to past times and completely abandon the plan he comes in with out of frustration and start to attack blindly, searching for an opening. Alexander showed Maidana that his power is often underestimated as he landed heavier than expected shots almost at will throughout their 2012 bout. Khan, on the other hand, will look to display a new ability to stay on task and avoid the past reckless behaviour. One of the aspects of his game Khan wanted to improve on when he aligned himself with Virgil Hunter as his new trainer was his ability to stick to a planned strategy throughout the fight, and to lose the wild and ragged edge that had often been his undoing. In the two fights Khan’s had with Hunter in his corner, he’s shown slight improvement in his ability to stay on task. While still having a couple of wild moments, Hunter has been able to calm Khan down and get him back to task with his advice between rounds. As a fighter who strives to improve, I have no doubt Khan has spent significant time in the gym with Hunter since his last fight in April, working on small aspects of his game and on his focus when times get tough. This is why I predict a snoozer. With a new focus and a willingness to trust his trainer and stick to their plan, Khan will become frustrated by Alexander’s excellent footwork. However, unlike the old days of him losing his patience and rushing in, only to be countered and put on his backside, Khan will stay focused, follow instruction and try to box his way through. Here’s a quick look at the latest progress of an up and coming British Welterweight in the shape of Frankie Gavin. This article is an original work published on Bleacher Report. British Welterweight champion Frankie Gavin defeated Jason Welborn this weekend to retain his British title. 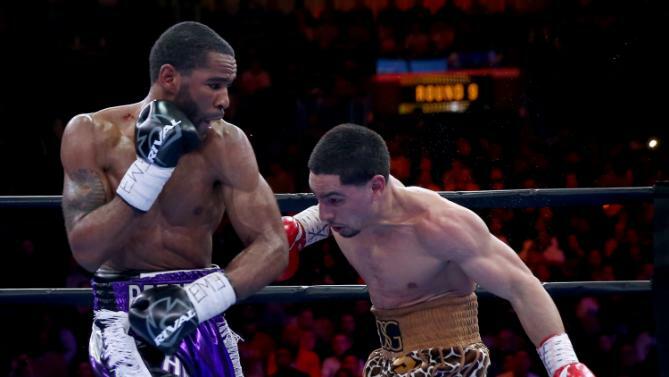 In the build up to the fight, he signaled his intent to try to make 2013 a big year for him. Gavin, highly ranked as an amateur, stepped up in class in his last last year to defeat former WBC light-welterweight champion Junior Witter to become the British Welterweight champion. Now 27 years old, Gavin understands he needs to begin testing himself against a higher class of opposition to see if he is ready for world title challenges. After overcoming personal problems that threatened to derail his boxing career, a re-focussed Gavin had a strong 2012 that was capped off by claiming Witter’s British Title. While understanding he has to continue the hard work he displayed throughout 2012, Gavin stated he wouldn’t say no if offered the chance to face a top opponent like Timothy Bradley, Amir Khan or Kell Brook. A fight against an opponent at that level may be a step too far for Gavin, but his willingness to step in with anyone is refreshing to see. While being way off elite status, Frankie Gavin is one to watch for 2013. He has the momentum from an impressive previous year, confidence from gaining his first title and is hungry for more. Gavin is the No. 1 contender for the European Welterweight title and could enter the world title discussion with a strong year. Another original piece from the Donkey’s mouth through bleacherreport.com. According to a report from boxingscene.com over the weekend the newly crowned IBF Welterweight Champion, Devon Alexander, has been signed to fight Britain’s Kell Brook on January 19th. News of the bout was given to former WBA and IBF Light-Welterweight champion Amir Khan, who in this boxingscene.com report expressed surprise that Brook took the challenge this soon and also signaled his desire to set up a fight with Brook if he is victorious in his first world title challenge. Brook became the number one challenger for the IBF Welterweight crown on the same day Alexander himself won the title by stopping Hector Saldivia in the third-round of their October 20th IBF Title Eliminator bout in Brook’s home city of Sheffield, England. That same evening on the other side of the Atlantic, former Light-Welterweight title holder Alexander defeated veteran fighter Randall Baily via unanimous decision to claim the Welterweight crown, and setting up a future showdown with Brook. Khan’s surprise that Brook took the challenge is understandable. Brook has yet to face a top level opponent. Without disrespecting any fighters he has defeated so far in his 29-0 career, Brook’s top opponents have been an aged Lovemore N’Dou and Matthew Hatton. By comparison, Alexander has been in the ring with high caliber fighters, including Timothy Bradley, Lucas Matthysse, Marcos Maidana and also Randall. The difference in the quality of opponent between Alexander and Brook is large, especially when you consider how deep Brook had to dig to hang on for a victory over Carson Jones earlier this year. The fight with Alexander is not only Brook’s first experience with a world title fight, but also a massive jump in the level of competition he will be facing. With an undefeated record, and a recent victory scored mostly on guts and determination, Brook surely feels this is the type of fight his skills should have him in for the foreseeable future. As for Khan discussing a possible showdown with Brook if the Sheffield fighter can defeat Alexander, can you blame him? Prior to losing his championship belts, Khan had Brook bringing him up as a future opponent after defeating Matthew Hatton in March of this year. You could say that Brook was being smart to mention Khan in interviews before he was really deserving of a shot at a champion. In today’s Internet driven world, if Brook can have his name associated with a better known fighter it increases the number of people looking at him. Now, the coin could be flipped. Successive defeats have left Khan once again rebuilding his career while Brook is about to try his hand at moving his to the next level. 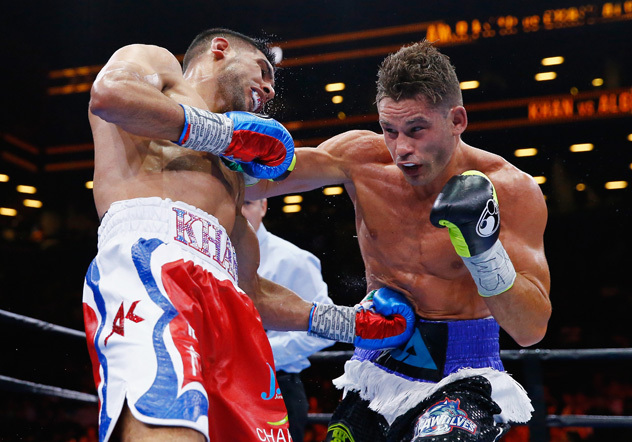 If Brook becomes a champion, a fight with Khan is one that will definitely sell, so Khan used the opportunity wisely to throw his name into the mix for a possible title shot. Smart marketing by both guys, now they need to back it up in the ring. 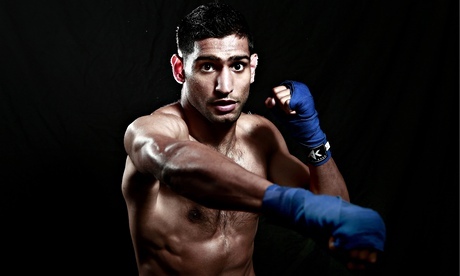 Will Amir Khan’s Calm and Humble Approach Help Moving Forward? 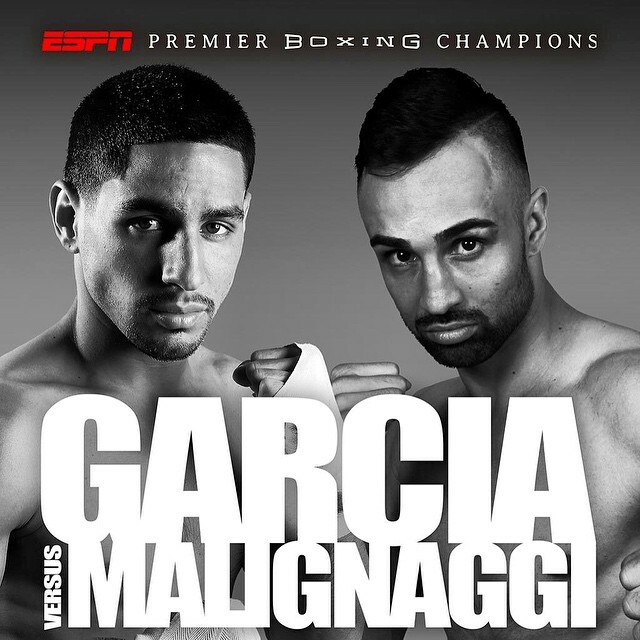 Former WBA and IBF light welterweight champion Amir Khan will take on American Carlos Molina in Los Angeles, California on December 15th. It will be Khan’s first bout since his knockout loss to Danny Garcia in July, and also his first fight under new trainer Virgil Hunter. In this press conference video from BoxingScene.com, a different Amir Khan stood at the podium. This Amir Khan was humble, there was no bravado, he spoke about the difficulties being a comeback fighter and spoke about new training regimes he is learning under Hunter. Could it be that Hunter’s methods are already paying off for Khan, who stated in the video that Hunter is teaching him to slow things down and think things through while he is fighting? Khan’s mellow, humble approach reminds me somewhat of another Hunter-trained fighter, Andre Ward, who while confident in his abilities is not over the top, in your face or brash with his comments.If this attitude is truly rubbing off on Khan, we could see a completely different fighter step into the ring against Molina. The Khan of the past was always looking to put on a show. Supremely confident in his abilities as a boxer, he wanted to entertain the crowd and it ultimately came back to bite him. Khan’s willingness to entertain led to him eating huge punches from Marcos Maidana that came close to ending the fight and also brought about his most recent defeat at the hands of Garcia. A calm, calculated approach to fighting could bring huge rewards to a boxer like Khan who has all the tools at his disposal but is often too headstrong for his own good.